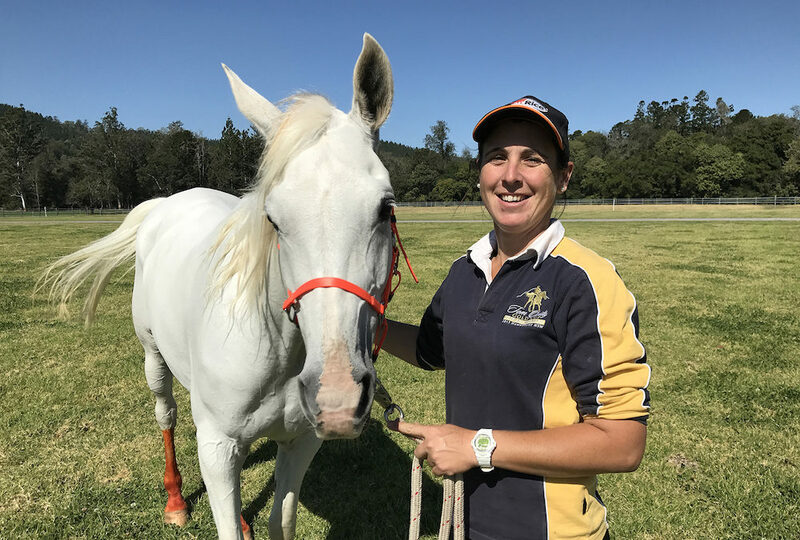 The region is celebrating with four out of the top five riders being local at today’s 80km ride at the 2017 Australian Endurance Championship being hosted at Stirling’s Crossing Equestrian Complex in Imbil. Fiona Fenech from Kilkivan took out top honours closely followed by Sorsha Stuart-Rokvic from Table Top in New South Wales, Stephen Gray from Coopers Plains, Leigh Ann Sample from Kenilworth and Akhmed Pshunov from Imbil. Conditions were tougher than expected with temperatures being unseasonably high for this time of year but event organiser and complex owner Matthew Sample said he was delighted with how the event was progressing. “We have about 150 people on-site at Stirling’s Crossing Equestrian Complex with competitors battling it out in today’s 80km ride and in the 120km and 160km rides starting at 3am and 3.30am respectively tomorrow morning,” Mr Sample said. Mr Sample said riders have also travelled from New Zealand to take part in this weekend’s meet, with the resurrection of the Bullio Arabians Trans-Tasman Challenge which was last hosted in 2011.